St. Catherine’s Anglican Church will host a Trunk Sale on Saturday, September 17 at 2211 Prairie Avenue, Port Coquitlam from 9 AM to 1 PM. Here is your chance to sell those items you no longer use and support a good cause. 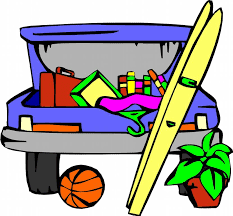 Trunk (car) spaces are $10.00. There also will be a concession. Proceeds of space rental and concession will assist Syrian refugees. For more information and to book a space email saint.catherines@outlook.com.